The National Art Museum of China is hosting an exhibition of 250 pieces of work by renowned Chinese artist Chang Shana. She's the designer behind the decorative pattern on the ceiling of the Great Hall of the People's banquet hall in Beijing. The artist and her late father, Chang Shuhong, are famous for dedicating their lives to preserving and promoting art from the northwest Chinese county of Dunhuang. This exhibition in Beijing entitled "Blossoms of Dunhuang" reflects upon Chang Shana's 60-year-long career, which is closely connected with Dunhuang. She considers Dunhuang her second hometown and has called it her "infinite source of inspiration". And she inherited this passion for Dunhuang from her father, who is often referred to as the pioneer in introducing Dunhuang art to the world. 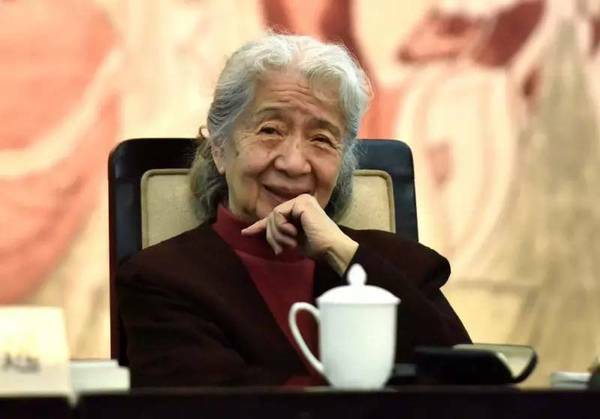 In 1943, her father, a promising artist who had won several medals at salons in France, was inspired after reading about Dunhuang cave art and decided to move to the remote county in northwest China’s Gansu province. "My father found this picture with Dunhuang murals and said that he had come all the way to France to study western art, including renaissance art, but he didn’t know that in China we had this amazing mural art form. It was then that he decided to visit the Mogao Grottoes himself," she said. Bumping along roads for an entire month, in the fall of 1943 the family finally arrived at the dusty, desolate, yet exciting Mogao Grottoes in Dunhuang. Years later, Chang still remembers her first dinner in Dunhuang. It was noodles in plain water, with the only seasoning being salt and vinegar. "Our first meal was really hard to swallow. I asked my father ‘do we have vegetables? and he said no because we would have to plant it ourselves. Back then there were so many difficulties, but my father was always optimistic," Chang said. In 1944, her father Chang Shuhong founded the Dunhuang Art Institute, which is now called the Dunhuang Academy. He gave up the prospect of furthering his art career and devoted himself to the protection and study of Dunhuang's treasures. But this was no easy task and it wasn't without challenges. His wife couldn’t bear the harsh conditions and ultimately left him. And things got harder, as during wartime the government stopped funding his Dunhuang Art Institute. But he was unperturbed. Together with his daughter, they continued their mission in Dunhuang. She made copies of the murals, under the guidance of her father, researchers at the institute and visiting artists. "My father taught me how to sketch the murals, draw grids and copy the murals. I learned a lot about murals and how the styles for murals had evolved. That experience greatly influenced my art career," she said. Chang later went to the US to further her studies and when she came back, turned to industrial art, teaching at the prestigious Tsinghua University. She has completed many designs based on Dunhuang frescos, including the decoration at the Great Hall of the People. "For artists from my father’s time, protecting and preserving Dunhuang art was their top priority. Now we need to transform that into creative, comprehensive designs to cater to the needs of modern life," she said. Dunhuang has become an inseparable part of her life. And her mission continues, she’s now working with an e-commerce platform to promote the sale of her work, to make sure that the thousand-year-old art form lives on.